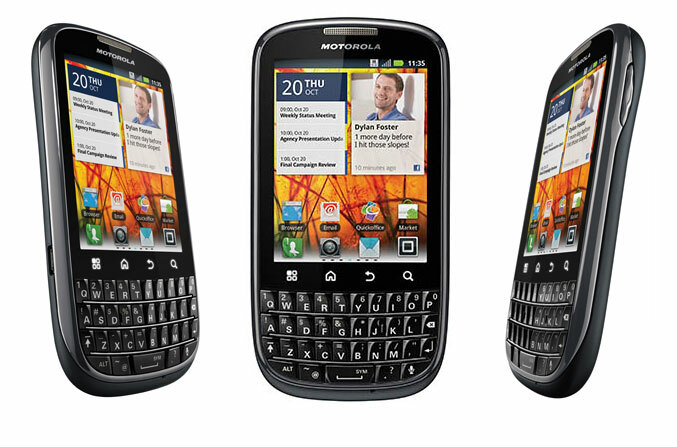 Motorola has introduced another Android powered smartphone, which combines 3.1-inch VGA (640 x 480) Gorilla Glass touchscreen display with full QWERTY keyboard and Android 2.3 (Gingerbread) OS. This business-oriented phone is powered by 1GHz single-core processor processor, has 512 MB of RAM and 4 GB internal, plus a microSD card slot for more space. Connectivity packe includes quad-band GSM/GPRS/EDGE and dual-band 3G/HSDPA, 3G Mobile HotSpot capabilities, GPS, Wi-Fi, Bluetooth, and USB 2.0 port. It has 5 megapixel autofocus camera at the back and a 1600 mAh battery. The entire phone measures 62 x 119.50 x 11.65, weights 113 grams and is packed with Quickoffice Connect for accessing, creating and editing documents on-the-go and with 25 Exchange ActiveSync security policies – including PIN lock, auto-discovery of Exchange Servers, Extended Device Management API’s and 3LM integration.